The TDWG aims to help networking for the exchange of ideas towards collaborative work between smaller groups of its members. Members are invited to post notices, news and reports of collaborative work, whether at the idea stage and seeking possible collaborators (informal or formal), or projects submitted for funding, underway or completed. The objective here is to share information. Please discuss any notices you may wish to put on this page with the TDWG Organisers (see the TDWG membership and contact points page for their email addresses). 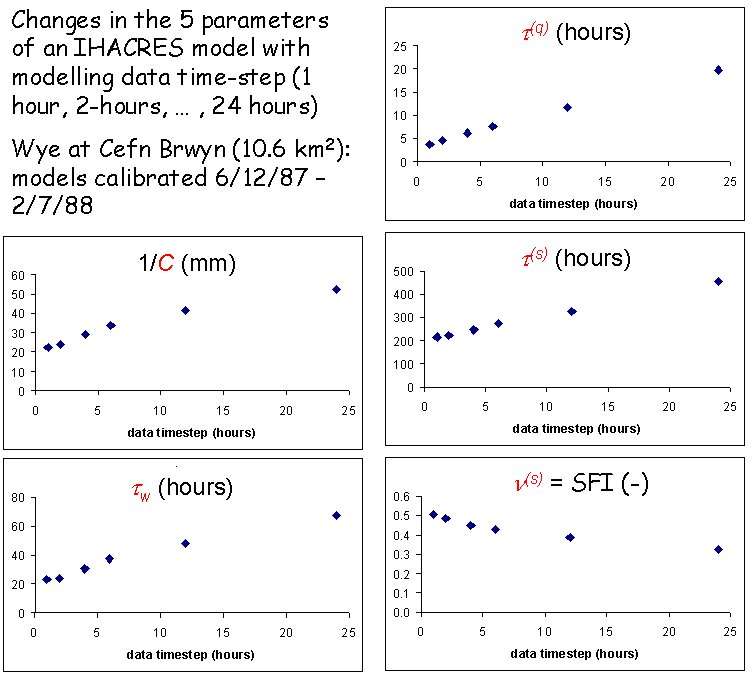 · how much do the parameters of other models change with data time-step, for the Wye at Cefn Brwyn (and other basins)? · to what extent does this modelling artefact contribute to uncertainty in flows estimated at ungauged (flow) sites (using measured rainfall and model parameters estimated from physical basin properties)? · can we accommodate data-time-step-dependency in model parameter regionalisation, and reduce predictive uncertainty?